Foursome from Title Sponsor, My Limo, from left: Dan Farley, Bob Lull, Howard Gogel (My Limo and Employment Horizons’ trustee), and Don Adami. 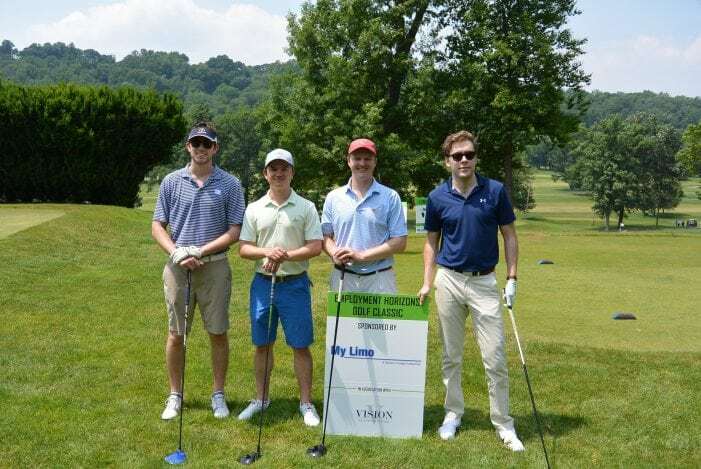 Foursome from Associate Sponsor, Vision Real Estate Partners, from left: Steve Feinberg, Ryan Fraser, Kubby Tischler, and Jose Mayoral. 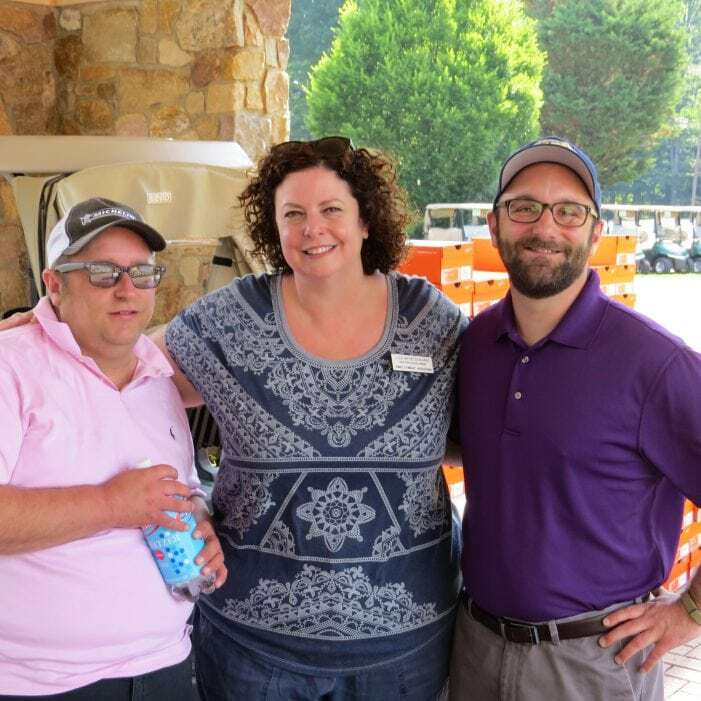 From left, are Kevin Gogel, Lisa Montalbano (Employment Horizons, director of Development) & Jason Gogel. services of Employment Horizons. The Golf Classic had several corporate supporters. My Limo, a division of Gogel Enterprises, was the Title while the Associate Sponsor was Vision Real Estate Partners. The golfers enjoyed a beautiful day of golf and participated in contests. Lunch and dinner were also provided with a silent auction and a 50/50 raffle. Golfers also had the chance to win a luxury car provided by Audi Bridgewater & Audi Mendham at the Hole-in-One Contest sponsored by Morristown Airport and Safari Telecom.